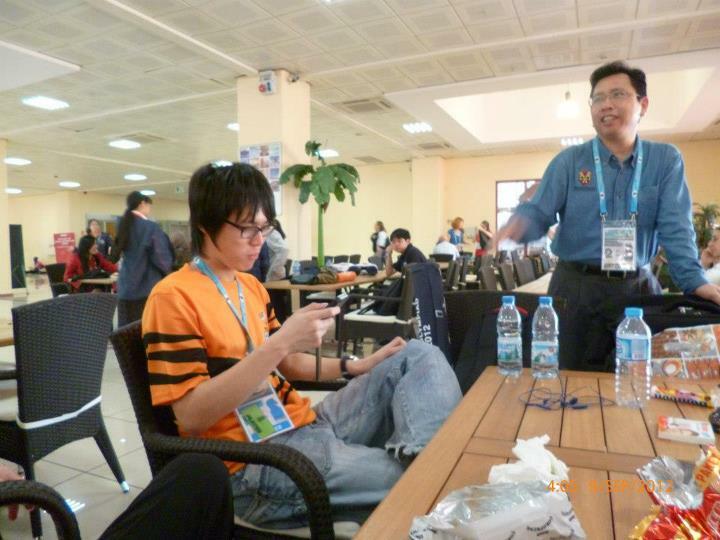 hairulovchessmaniac: Malaysia finish on high note in 2012 Istanbul Olympiad! Malaysia finish on high note in 2012 Istanbul Olympiad! Malaysia Men (seeded 86th) team finish on 64th place from 157 country in the Open Section of 2012 Olympiad, Istanbul. They scored 12 match points ( 5 win, 2 draw and 4 lost), 24 game points (54.5%) which is a record for Malaysia. The previous record in term of game points percentage is 52.7% at Dubai Olympiad 1986. Among ASEAN countries, our men team is 4th behind Vietnam (7th), Philippines (21st).and Singapore (59th). We create history by finishing above Indonesia (73th) for the first time in the history of Olympiad. The women team (seeded 66) lost their last round match against Estonia 1-3 to finish on 61st place from 127 country. They scored 11 match points ( 5 win, 1 draw and 5 lost), 22 game points(50%). Among ASEAN countries, our women team is 4th behind Indonesia (24th), Vietnam (26th)and Philippines (43rd). (iii) Tan Li Ting get Women Candidate Master (WCM) title.